Layneylabs is dedicated to the best quality of black and chocolate Labrador retrievers we can produce. Layneylabs is a small hobby kennel with many years of experience and our dogs are being raised in a home environment. Our dogs participate in Conformation, Obedience and Hunt training earning titles in all 3 disciplines. Layneylabs does not have any kennels just a big yard where the dogs all have free access. We occasionally have Black and Chocolate Lab puppies. 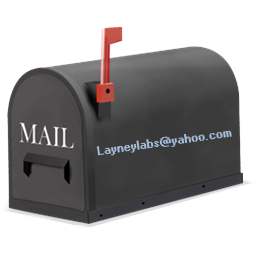 Layneylabs is located in Central Southern California and can provide a wonder black Labrador puppy or chocolate Labrador puppy. Priscilla is adored by Helayne Zoota of Layneylabs! Ch. Empress Big Sky's Blood & Guts! !